Join us at Knit City at the PNE in Vancouver, BC on Sept. 30th - Oct 1st for lots of fun! You can find us at BOOTH #206. We'll both have our patterns there for sale and all of our books will be there! We will also have lots & lots of yummy samples for you to try on, special sales and giveaways! So don't be shy - come say hi!!!! 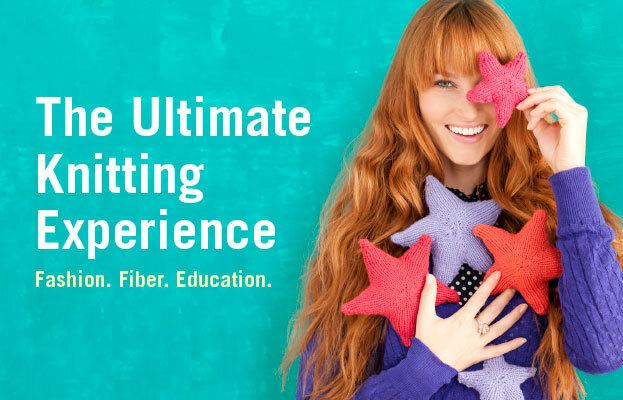 If you love anything fiber related this event is not to be missed! I hope to see you there! Read more about Knit City on their website HERE. World Wide Knit in Public Day is this Saturday, June 10th! To join in Jane and I will be at Seaside Yarn & Button in Sooke, BC from 10am - 12pm. We'll have copies of our newest book Within and all the samples from the book for you to try on! We hope you can come out and say hello! We're so excited to announce that we've been able to reschedule our trip to visit some of our favourite yarn shops - Churchmouse Yarns & Teas and Tolt Yarn & Wool, with our newest book - Within: Knitting Patterns to Warm the Soul, and it's trunk show! We love getting a chance to visit both of these inspiring and gorgeous shops and getting to see all of you! We'll be bringing the trunk show for our newest book - Within: Knitting Patterns to Warm the Soul so you can see the pieces from the book in person and even try them on! IMPORTANT UPDATE: The following event has unfortunately been cancelled due to illness. We apologize for any inconvenience this may have caused. We will keep you posted for further information. We're so excited to announce that we will be back to visit one of our favourite yarn shops - Tolt Yarn & Wool! We will be visiting this inspiring and dreamy shop on Sunday, February 12th, from 1 - 4pm and we so hope you'll join us! We will be bringing along with us the trunk show for our newest book - Within: Knitting Patterns to Warm the Soul. We can't wait for you to see these pieces in person and chat with all of you. So bring your knitting & let's have a fabulous afternoon! We look forward to seeing you all next month! We're so excited to announce that we will be back to visit one of our favourite yarn shops - Churchmouse Yarns & Teas! Jane and I will be visiting Valley Yarn in Surrey, BC on December 3rd from 11-1pm, with lots of samples for you to see and try on from our new knitting book Within: Knitting Patterns to Warm the Soul! We'll have samples, books and more! We hope to see you there! Jane and I will be visiting 88 Stitches in Langley, BC on December 3rd from 11-1pm, with lots of samples for you to see and try on from our new knitting book Within: Knitting Patterns to Warm the Soul! Jane and I will be visiting Urban Yarns in Vancouver, BC on December 2nd from 7-9pm, with lots of samples for you to see and try on from our new knitting book Within: Knitting Patterns to Warm the Soul! We're so excited to be kicking off the Canadian launch of our newest book Within: Knitting Patterns to Warm the Soul at our local yarn shop - The Beehive Wool Shop in Victoria, BC, Canada. Join us on October 22nd, from 1-3pm to try on samples from the book, meet myself and Jane, get your books signed, shop + more! The Beehive is a gorgeous and iconic knitting shop and one not to be missed if you've never been before! 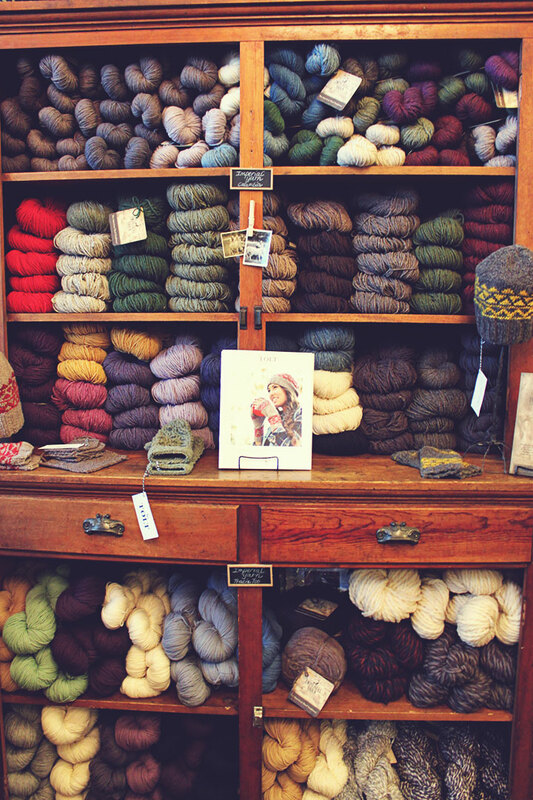 This timeless staple on the yarn shop scene is one of Canada's loveliest stores! Filled to the brim with tastefully curated yarns the Beehive is a must see on Vancouver Island. They are also the ONLY Canadian stockist of the coveted Brooklyn Tweed yarns! Jane and I are beyond thrilled to be able to launch Within at the Beehive and we hope you will we hope you'll join us to celebrate the kick off of Within!!! We look forward to seeing you all at the Beehive!! We're so excited to announce that we will be vendors again at our favourite event of the year - KNIT CITY! 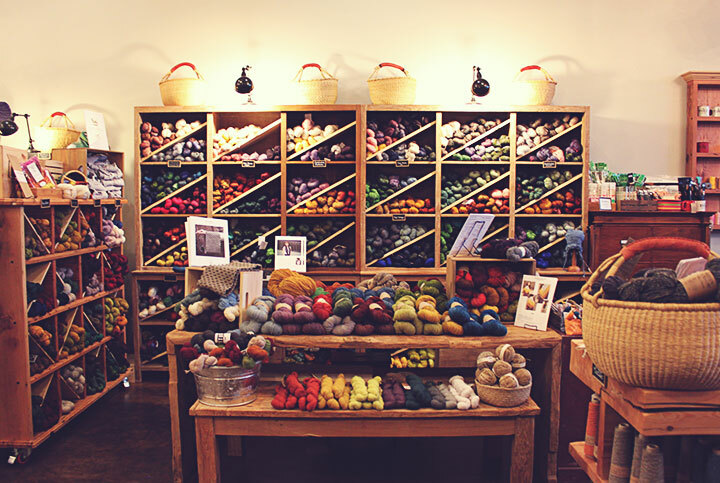 We're so excited to announce we'll be back at one of our fave yarn shops - Tolt Yarn & Wool Shop in Carnation, WA! We'll be at the amazing Tolt Yarn & Wool Shop for a special trunk show and stitch circle on Sunday, July 12, 1pm to 3pm. We will be bringing the samples from Seasonless and will be there to answer questions, talk about their inspiration and just sit and knit with you. Bring your projects and plan to spend the afternoon with us in this gorgeous shop! We so hope you'll come by this special store and say hello, get inspired and knit with us! We can't wait to see you! You can find all things Tolt Yarn & Wool HERE on their website! CHURCHMOUSE YARN & TEAS SHOP! Come join us on Bainbridge Island at the gorgeous shop - Churchmouse Yarns & Teas! We are beyond thrilled to be invited to this iconic and lovely shop and to get to hang out with all the lovely staff and customers for the day! Jane and myself will be there on July 11th, from 11am to 3pm! Pop in and say hello, get copies of your books signed, ask us questions and more! There will also be refreshments! We can't wait to see you! So mark your calendars and come visit this beautiful shop! You can find all things Churchmouse Yarns & Teas HERE on their website! We're so happy to announce that we will be at Stitches West this year in Santa Clara, CA! We can't wait! You can find all the information for this exciting event on their website HERE. Want to visit with Jane and I? We'd love to chat with you! Pop by the following events to meet with us! We can't wait to see you! We're going to be at Knit City this October! Do not miss this fun and modern knitting event! It's one of our favorite events of the year! We will have books, samples, patterns and more at our booth! Look for Marian Rae Publications on October 4th and 5th at the PNE in Vancouver, BC! We're Booth #40. Jane Richmond and myself (Shannon Cook of Very Shannon) will both be there! We can't wait to see you so be sure to come over and say a big hello! Don't miss Fibrations this weekend in Victoria, BC! This is one of our favorite fiber festivals that we attend and vendor at each year! Located on the gorgeous orchard grounds of St. Anne's Academy it truly is a lovely event! Roving in the trees, knitters happily lazing on the grass, music, awesome shopping, food, friends and more! If you are looking for a fun event for a lazy Sunday pop on by Fibrations from 10-4pm! You can find Marian Rae Publications there as well as Jane Richmond Designs and Shannon Cook from Very Shannon. We'll have lots of books and samples for you to try on too! We are SO excited to have our Official Canadian Launch of JOURNEY be hosted at the amazing and iconic Beehive Wool Shop here in lovely Victoria, BC, Canada!!! 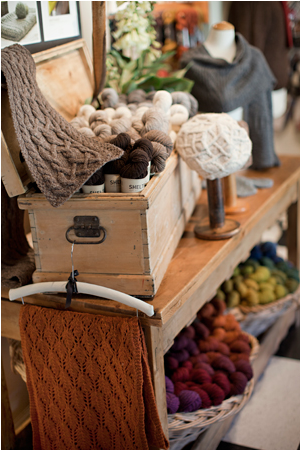 This timeless staple on the yarn shop scene is one of Canada's loveliest stores! Filled to the brim with tastefully curated yarns and more the Beehive is a must see on Vancouver Island. They are also the ONLY Canadian stockist of the coveted Brooklyn Tweed yarns! Jane and I are beyond thrilled to be able to launch JOURNEY at the Beehive and we hope you will join us for a trunk show and book signing event at the end of this month! Mark your calendars! You don't want to miss this! We hope to see you there!!!!! Happy knitting! COME VISIT US AT KNIT CITY IN VANCOUVER, BC!!! We'll have a booth at our favorite Vancouver Fiber Event - Knit City!!! We'd love if you popped by this wonderful event to take in the vendors in the marketplace, enjoy the classes and just have fun! While you're there make sure you come by Booth #4 and say hello!! We'd love to see you! Both Jane and I will be there! You can find all the details and event information for Knit City here.